Ryan Tannehill is front and center this week. The Chicago Bears have not faced the Miami Dolphins quarterback since October of 2014. It was a frustrating afternoon with him throwing for 277 yards and two touchdowns without an interception. That was supposed to be a game the Bears should’ve won and instead they were humiliated. Looking back it shouldn’t have been a surprise. Tannehill was in the midst of his best season as a pro that year. The Bears defense had arguably its worst season in franchise history. It’s unlikely going to be the same story this time around. Tannehill is struggling a lot of late and he’s about to face a defense that could be entering the realm of legend before too long given their current pace. It’s the #1 pass rush in the league against a banged up and seemingly outmatched offensive line. The setup is there, but that’s what the Bears thought last time too. They need to make sure they have all their bases covered this time, and it turns out there is a particular part of Tannehill’s game they can take full advantage of. Gregg Rosenthal of NFL.com went through the previous week of action in the NFL and came across an interesting note from the Dolphins-Bengals game about Tannehill. Apparently, the quarterback has a bad habit of playing the conservative game on 3rd down, often throwing passes that are short of the 1st down marker. The stats indeed play this out. This season Tannehill is 20-of-37 for 211 yards, one TD and two interceptions when throwing on 3rd down. Six of the eight sacks he’s suffered have come in those situations as well. Suffice to say if a defense can put him into an obvious passing situation on 3rd down, the results have rarely been favorable for Miami. 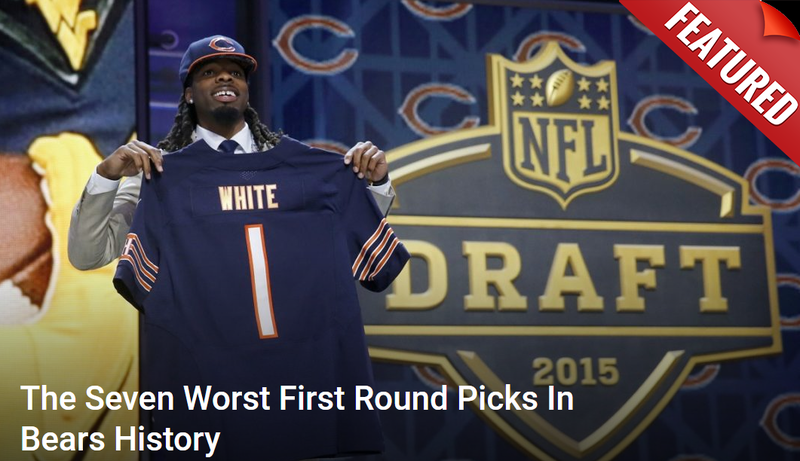 This is a big deal because the Bears have one of the best 3rd down defenses in the league. Through four games opposing quarterbacks are 19-of-35 with 244 yards, two TDs, and four interceptions while taking seven sacks. That amounts to a 55.8 passer rating. Opponents have converted just 33.3% of 3rd downs total this year against them. That’s strong stuff. Miami’s goal for this game is clear. They have to keep Tannehill in manageable down and distance situations if they want to win. Otherwise, it could be a long day for them offensively.